Last Thursday, we had some free time in the evening when daddy was running late at the office. So, we did what most people do. We built a fort, watched American Idol, and ate Spongebob Mac and Cheese. Because of another project I've been working on, I'm thinking and reflecting a lot on this experience of being a mother and the effect it has had on me thus far. 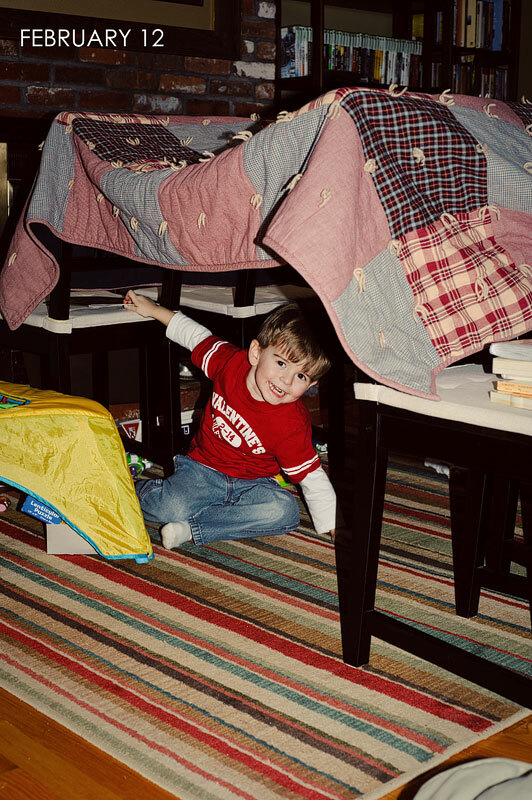 One thing I'm realizing - I need to work to structure my life so I can spend as much time as possible building forts. G-Man and I watched some videos of him from about a year ago. I can't believe how much he has changed and how quickly the time goes. For more Project 365 photos, click here.